Performance management is one of the most broken (and disliked) processes in businesses today. It’s out-of-style, ineffective, and everybody loses. But...who’s continuing to win? Athletes. As a sports + tech company that provides coaches and athletes video analysis tools, Hudl understands the value of reviewing and improving performance in real-time. Hear Adam Parrish and Mark Ketcham discuss the radical shift from performance management to performance motivation. 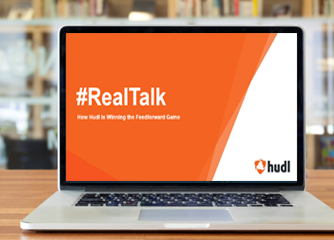 Learn from the HR side, as well as the end-user side, how Hudl is empowering both team leaders and members to provide ongoing #RealTalk, improve performance, and ultimately, win.